Double-hole canister sharpener with cover over opening. 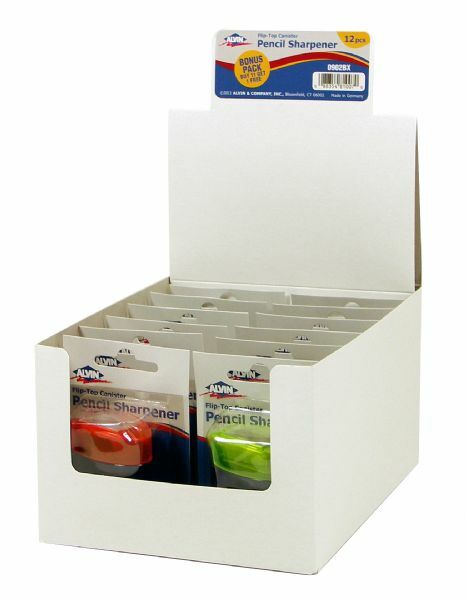 * Box of 12 blister-carded sharpeners. 9.84" x 5.31" x 2.76"